What is a Blue Carbon Project? Blue carbon ecosystems can help to reduce climate change impacts, support adaptation, and secure social, economic, and environmental outcomes. 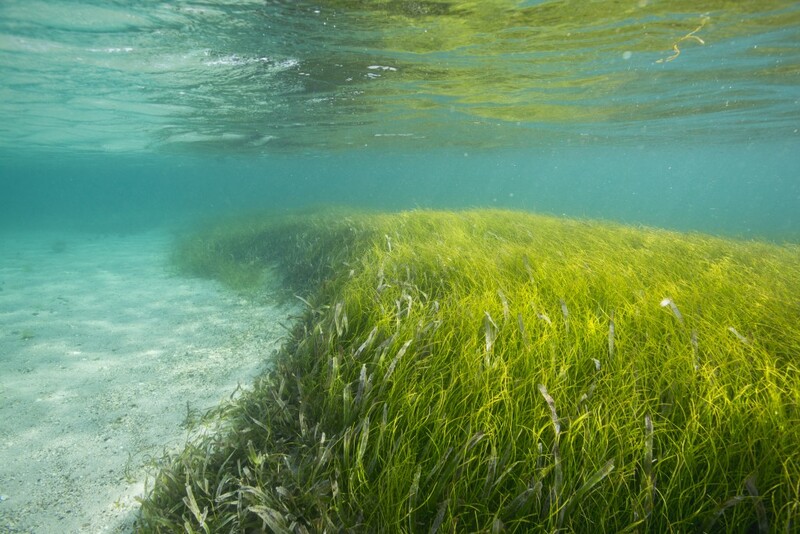 Healthy, blue carbon ecosystems store and sequester carbon helping to mitigate climate change, support biodiversity, and provide valuable ecosystem services to coastal communities. When degraded or lost, they contribute to climate change by releasing stored greenhouse gases (GHG) into the atmosphere and can become significant emission sources. Climate mitigation benefits of a blue carbon project are determined by comparing the changes in GHG reductions and emissions as a result of the project to the GHG reductions and emissions which would have occurred in the absence of the project. Blue carbon projects can help national governments and communities to achieve multiple goals that include: climate mitigation and adaptation; sustainable livelihoods; conservation and restoration of blue carbon ecosystems. Blue carbon projects can help governments to deliver on their national mitigation and adaptation targets and commitments to meet environmental and sustainable development goals. They can support national efforts to calculate the ecosystem services of coastal environments, thus providing additional incentives for improved ecosystem management. They can provide additional financing to support existing environmental management strategies. For example, carbon offsetting can be used to generate funding for conservation by allowing an entity to purchase the ability to compensate for their carbon pollution in exchange for carbon not being emitted elsewhere – thus blue carbon ecosystems are kept intact, restored, or managed to secure and increase their carbon stocks. See an example of a project in Madagascar to support community livelihoods and carbon mitigation. 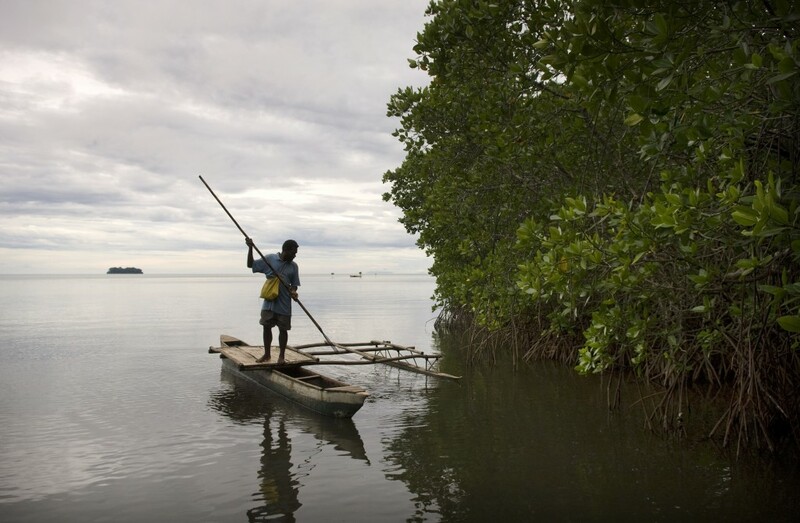 At the local level, blue carbon projects can directly improve the livelihoods of coastal communities by providing income, subsistence resources, and additional benefits (e.g., coastal protection provided by intact wetlands). 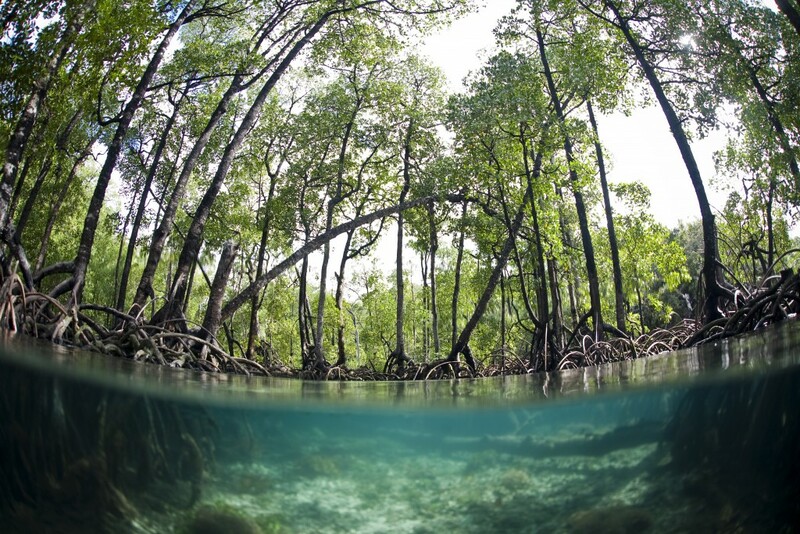 Improved management of blue carbon ecosystems, therefore, can enhance food security, secure livelihoods, increase resilience and contribute to delivering Nationally Determined Contributions (NDCs) through carbon sequestration and adaptation. Wetland soils are significant carbon stores, thus preventing wetland drainage and degradation can prevent large emissions of CO2. Project activities may include: controlling sources of stress (coastal pollution, overharvest, and coastal development) and working with land-use planners, tourism agencies, and communities to ensure existing blue carbon ecosystems are protected, and development is targeted away from vulnerable areas, habitats with significant carbon stocks, and habitats which provide other important human benefits (e.g., coastal protection, fisheries). Project activities may include: lowering water levels on impounded former wetlands; Removing tidal barriers; Rewetting of drained wetlands; Raising soil surfaces with dredged material; Increasing sediment supply by removing dams; Restoring salinity conditions (reducing CH4 emissions); Improving water quality, e.g., for seagrasses; Wetland or seagrass creation – converting land or marine areas from non-wetland to wetland or non-seagrass to seagrass habitat where there was previously no wetland/seagrass in existence. Guidance has been established to support the development of blue carbon projects (e.g., ref), and gender mainstreaming should be a fundamental component of any blue carbon project. This phase involves assessment and demonstration of the valuation of blue carbon and how it can be used to improve ecosystem policy and management, e.g., through carbon finance, conservation agreements, recognition in policy and management, or other mechanisms. Measure, report, and verify carbon – For blue carbon reservoirs to be included in policy mechanisms (e.g., to generate carbon credits), they must be measured, reported, and verified. This enables accurate tracking of GHG emission reductions and issuing accurate amounts of carbon credits at the project level. Before carbon can be sold in the market, carbon projects must be registered with verification bodies (e.g., Verified Carbon Standard; American Carbon Registry). Registration occurs when a project officially enters into a carbon standard, and once it is listed in the registry, it becomes eligible for credit trading and crediting. Monitoring reports must be sent to a third party for verification and if successful, carbon credits will be issued. Carbon accreditation projects must demonstrate additionality—carbon sequestered must be additional to what would have been achieved if the carbon project were not implemented; permanence—carbon stored should remain so over long timescales; leakage—when blue carbon project results in emissions in areas outside of project boundary. Monitor, evaluate, and adapt – Regular monitoring and evaluation are necessary to keep a project team informed about the utility and success of the project activities, and support adaptive management. Monitor and evaluate the social dimensions of the project (e.g., to ensure resource owners have an equitable share of project benefits; reduce unintended gender-related impacts). For guidance see SocMon and Adaptive social impact management for conservation and environmental management.